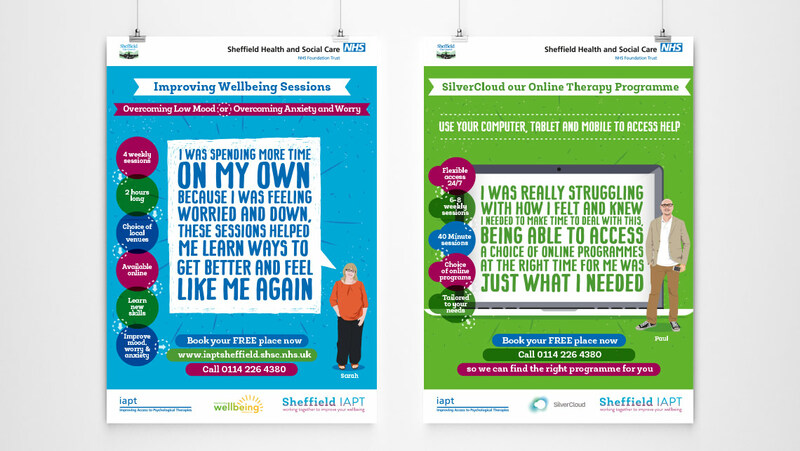 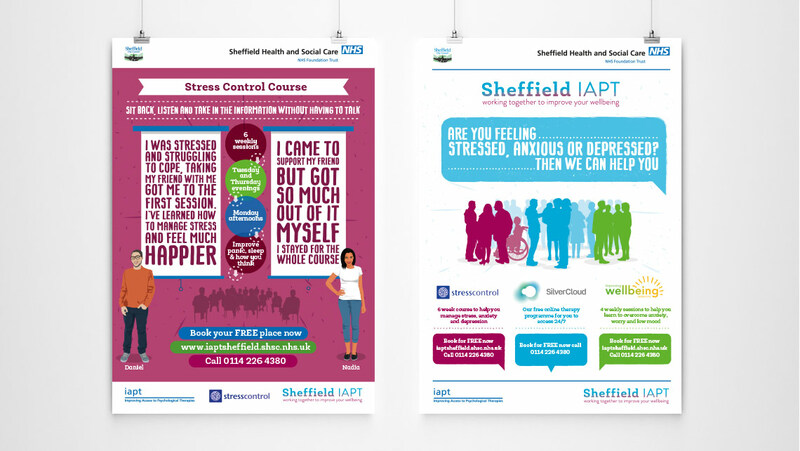 The Sheffield NHS approached our design team to develop and rebrand their IAPT service in Sheffield. 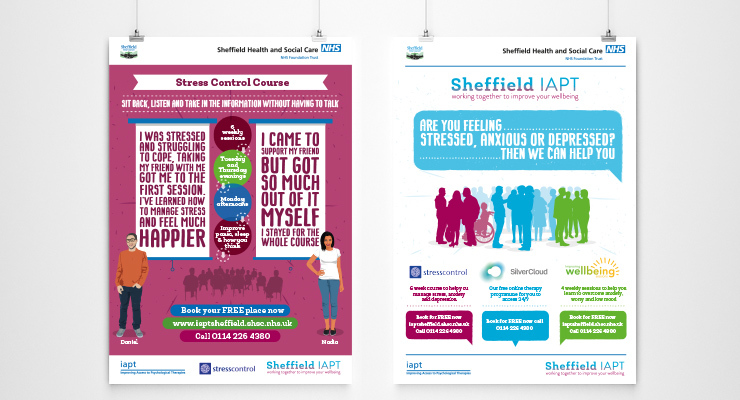 With NHS brand guidelines to work with, we developed a brand identity to engage a vast audience of male and female of all ages. 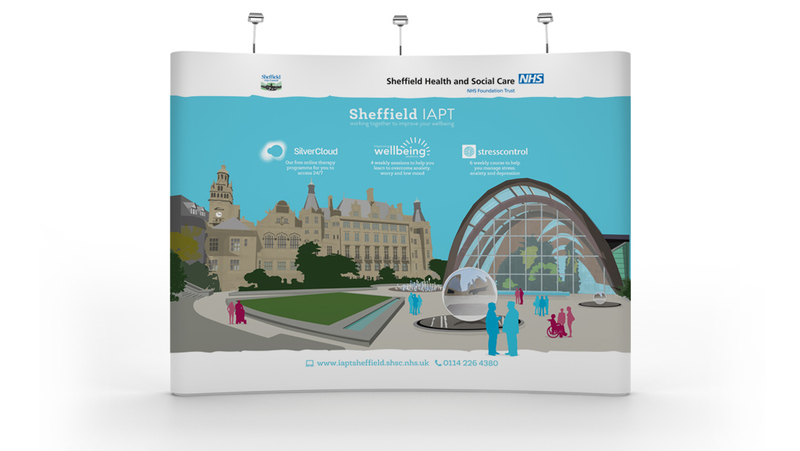 We developed the brand across digital and print design, including workbooks, responsive website development and merchandise, including exhibition stands. 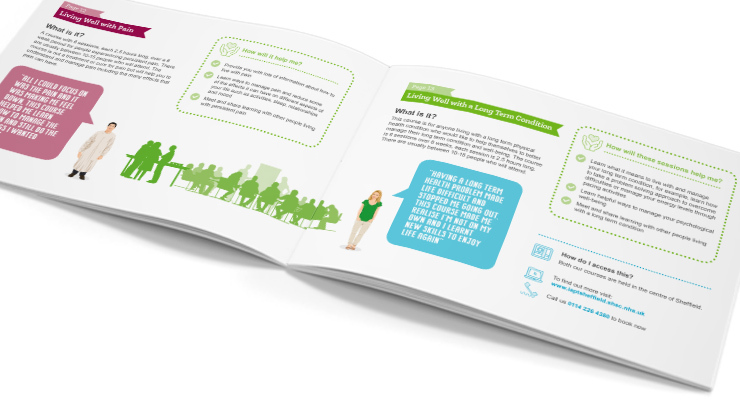 The brand design was rolled out throughout the various print and digital collateral required. 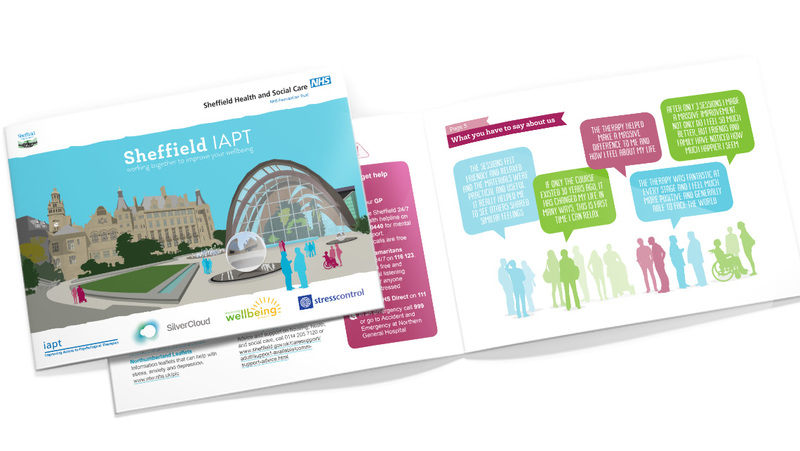 Working with the internal marketing team, we developed and designed printed workbooks, leaflets, posters and merchandise; as well as developing website assets for the in-house development team to use in their responsive website. 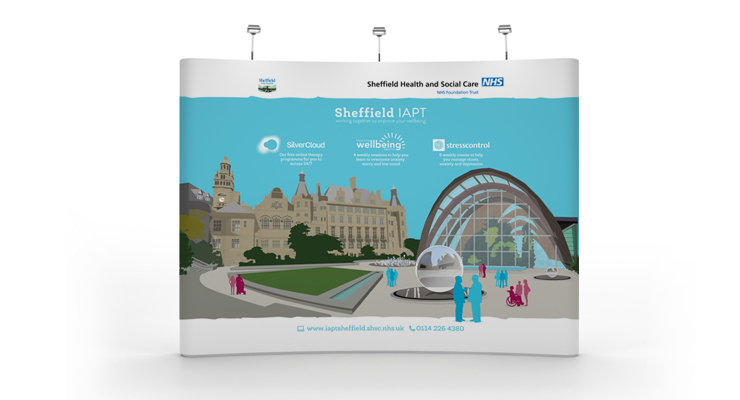 The launch event consisted of a range of exhibition stands showcasing the various services offered, all designed in-house by Plug's design team as well as printed merchandise.